Gone are the days when you had to send out your helmet to get a custom communication device installed. 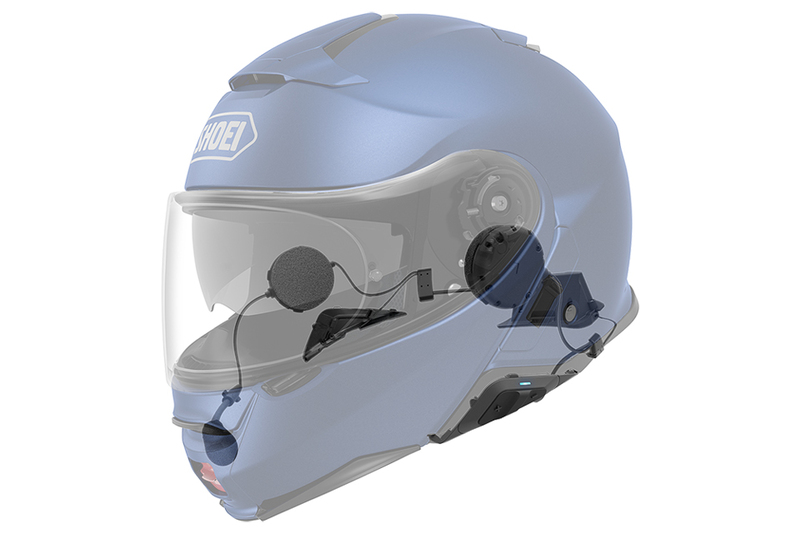 The Sena SRL Communication System (sold separately) was created specifically for the Shoei Neotec II Modular Helmet. The Neotec II is a complete overhaul of the original Neotec. 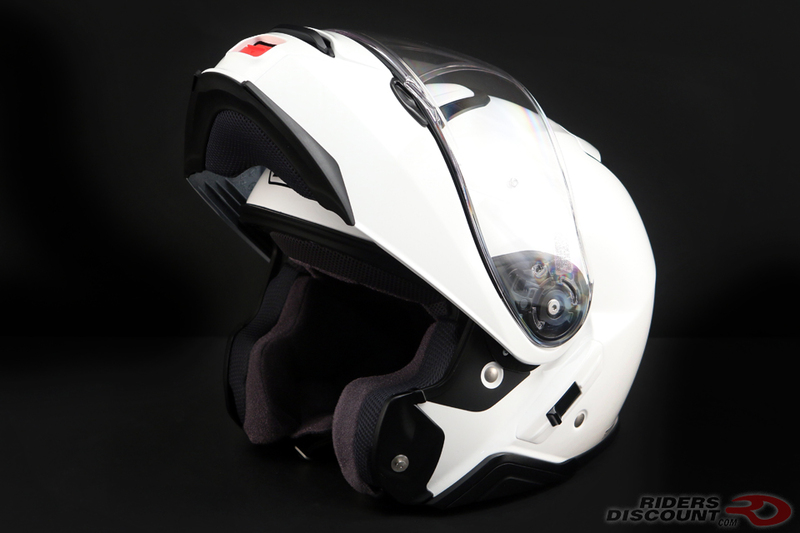 It features an all-new aerodynamic design and interior resulting in an incredibly quiet helmet. This modular helmet gives you the convenience of an open-face helmet with the safety of a full-face helmet. 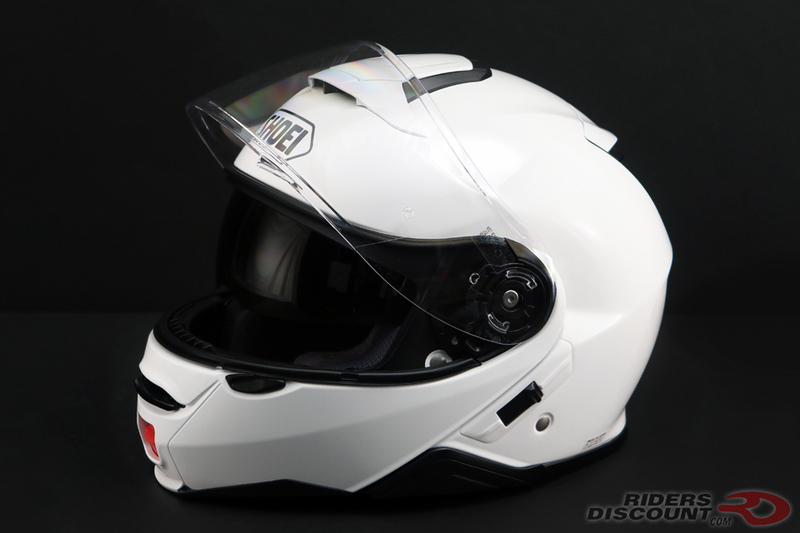 In addition to a multi-position face shield, this helmet has a QSV-1 sun shield built in. It also comes equipped with a Pinlock EVO fog-resistant system. 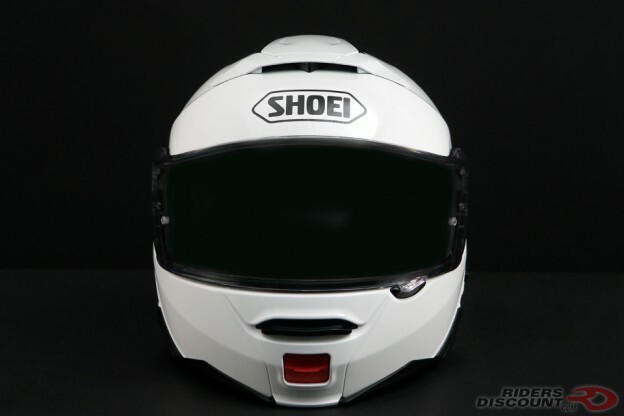 Shoei’s Neotec II has a high-quality ventilation system to provide maximum comfort. The expanded 3-position upper air intake vent allows air in while the all-new exhaust outlets expel unwanted warm air. 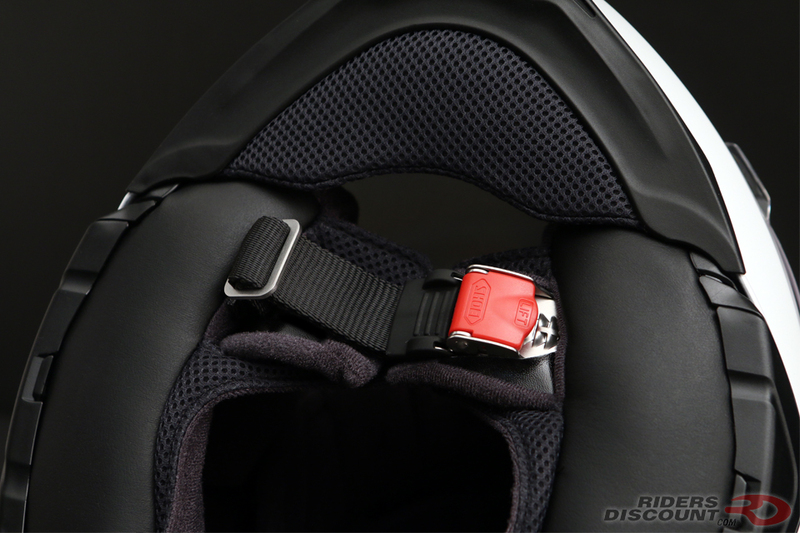 Additional ventilation is found on the inside of the helmet, with several funnels built right into the EPS. 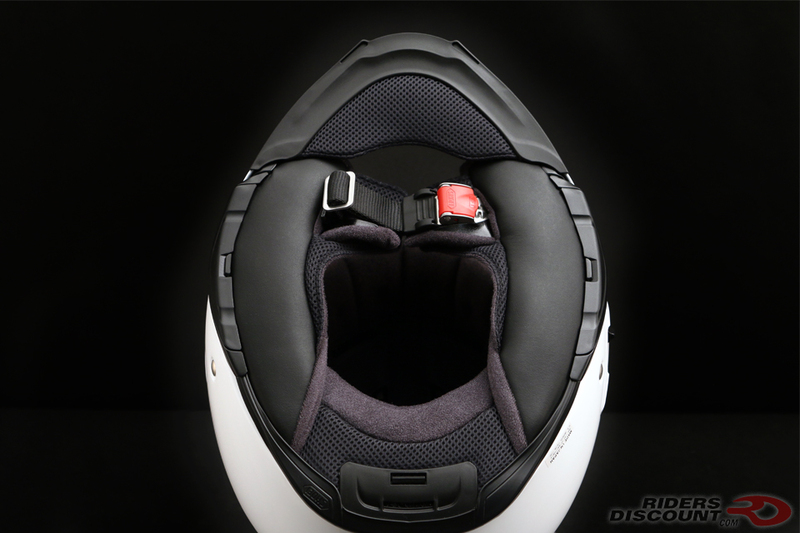 The interior of this helmet is completely removable, replaceable, and washable. 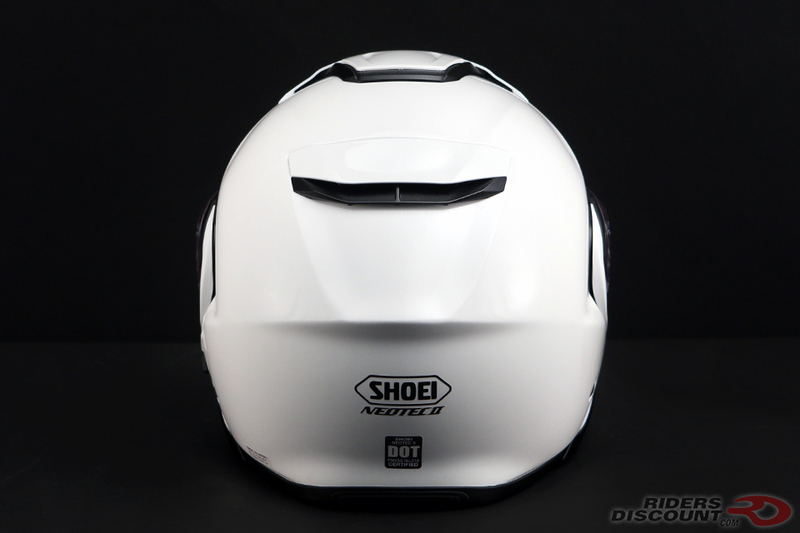 The Neotec II incorporates Shoei’s new ‘Noise Isolator’ cheek pads, which deflect wind and reduce unwanted noise. This helmet has a patent-pending 100% stainless steel interlocking mechanism, making putting on and removing the helmet quick and easy. 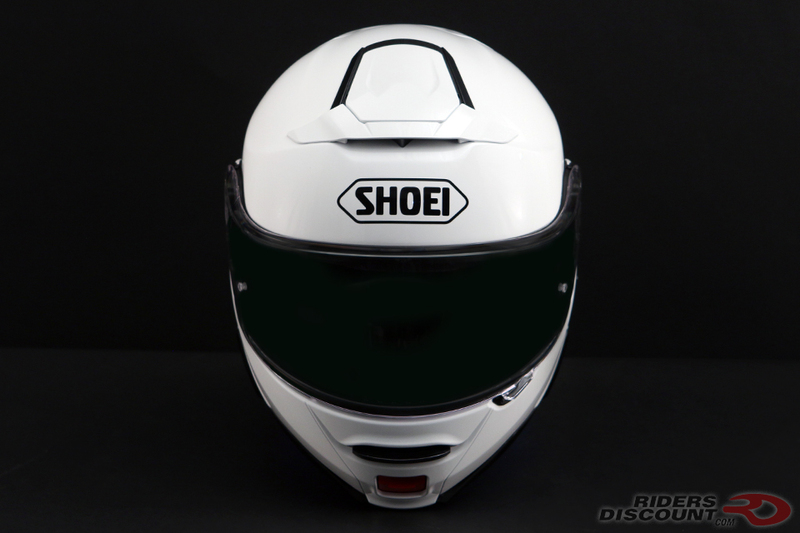 The Shoei Neotec II is available in sizes XS-XXL. 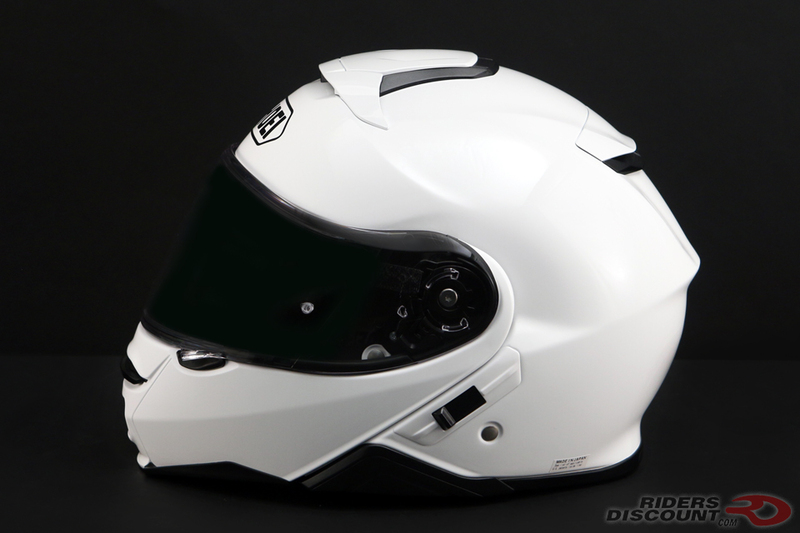 This entry was posted in News, Product Reviews and tagged Modular Helmet, Motorcycle Helmet, Riders Discount, Shoei, Shoei Neotec, Shoei Neotec II, Shoei Neotec II Modular Helmet on March 1, 2018 by Riders Discount.